Consistently getting a great night’s sleep can be life changing, which is why shopping for the best foam mattress can be exciting and nerve-wracking. It’s going to be a big investment and a purchase that you’ll live with for years. You want to make sure your money is well-spent and that you are getting a high-quality foam mattress that will increase your overall health and wellness. As someone who has spent hundreds of hours researching and blogging for luxury mattress retailers, I am a foam mattress owner myself and would like to share my pick for top foam mattress and why. These days, it seems like the market for foam mattresses has exploded- there are so many choices! And with a growing number of factors to consider such as foam type and density, hypoallergenic materials, size, price, and compatibility with your unique sleeping style, finding the best foam mattress can be downright overwhelming. Save yourself time and energy and narrow down your search by looking over this comprehensive shortlist. Similar to the Best Yoga Mat article, we will review my picks for the best memory foam mattress you can buy. Let’s jump into my choice for the best foam mattress you can buy for comfort and longevity, as well as a few close contenders that you may also want to consider. 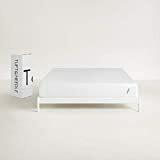 The Tuft & Needle Queen mattress is my pick for the best foam mattress available for purchase today. I purchased this unconventional foam mattress about five years ago when my husband and I picked it as our wedding gift to ourselves! It was somewhat of a splurge, but years later, I still feel that it’s the best joint purchase we’ve ever made (and we own our home!). You know those wise words- never go to bed angry? Tuft & Needle’s renowned adaptive foam material melts away any tension and stress that I carry during the day (and eliminates any negative feelings I have towards my husband). This mattress has literally saved our marriage! 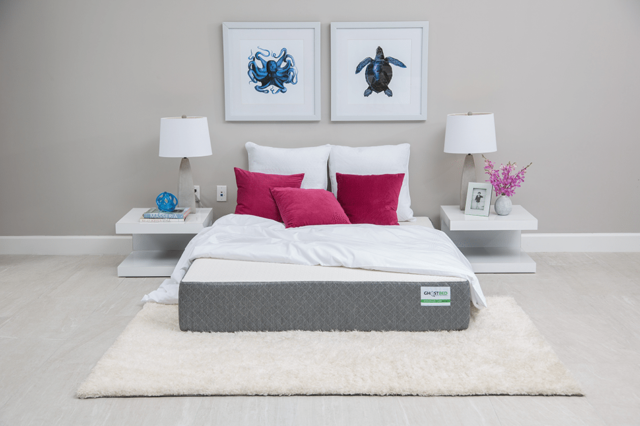 The Tuft & Needle Queen mattress is made with freshly poured T&N Adaptive foam, giving it a firmly supportive feel, and allows for enough bounce that it’s excellent for any sleeping position. The foam literally adapts to your size and weight – the more pressure that is put on it, the more support it provides. This means that it can simultaneously support you and your partner, providing equal amounts of comfort for your unique needs, no sleep number necessary. The adaptive foam pioneered by Tuft & Needle includes gel and graphite, which ingeniously eliminates some of the pitfalls of memory foam and latex mattress materials. For example, it doesn’t trap heat the way memory foam can, or depreciate in support like latex is known to. So not only does it look luxurious, but it’s smart in all the ways that count, just what the best foam mattress should be. Science at its best! Tuft & Needle set out on a mission to create the best foam mattress and ended up with a mattress unparalleled in performance and affordable for the average consumer. With transparency, they collaborated with leading scientists and engineers to design a mattress that is functional and feels luxurious. The mattress has a no-frills structure, just three simple layers: a supportive base layers serves as the mattress foundation, a pressure relieving layer of adaptive foam, and a plush outer cover layer that is breathable. Unlike other foam mattresses, the Tuft & Needle design is comfortably firm. You won’t have the sensation that you are sinking into your bed! It is also meant to fit just about any bed frame, including adjustable frames that allow you to sleep in upright positions. Is there anything worse than trying to move a new mattress into the house and up to the bedroom? The foam allows the mattress to be compressed to fit into a small box and shipped quickly. When I say compressed, I mean it – it was 10-inches thick! When ours arrived, I’ll admit I was skeptical, I couldn’t believe there was a whole mattress inside. All you have to do is unroll it onto your bed frame, and the foam expands to full size. It was like magic. Tuft & Needle offers a ten-year warranty on all their foam mattresses. They are proud of their product, stand behind their design, and care about their customer’s satisfaction. The best foam mattress not only feels good, it actually is good for your health. The moisture-wicking graphite in the adaptive foam and cool outer layer of the mattress will protect you from feeling overheated or sweaty while you sleep. Without any sleep discomfort, you will experience a deeper, continuous sleep cycle that leaves you feeling rested and healthier. My husband suffers from back pain and has felt major improvement from sleeping on this mattress. It provides the firm support he needs along with comfort we both desire. In fact, we both actually look forward to going to bed, knowing we’re going to get an amazing night’s sleep on our mattress and wake up feeling rejuvenated. I cannot recommend this mattress strongly enough! Tuft & Needle foam is certified by the CertiPUR-US lab, guaranteeing that the foam is free from harmful chemicals. The mattress has further undergone rigorous testing that measures a product’s off-gassing and the resulting indoor air quality, making it GreenGuard Gold certified. You’ll be leaving a light eco-footprint! The Ghostbed Classic Queen Mattress is another strong contender and reputable manufacturer for a high-quality foam mattress. 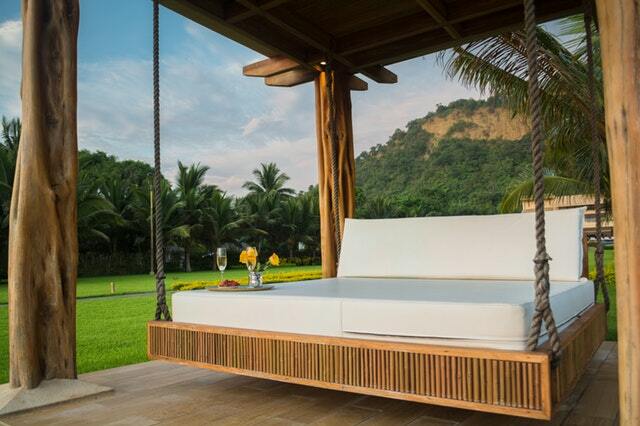 The company boasts its product as the coolest bed on the market, and supernaturally comfortable. They are also known for having excellent customer support services, making what can be a tough shopping experience a more pleasant one. Ghostbed takes a dual approach to create the best foam mattress, using both latex and gel materials. The gel material is intended to keep you cool as a cucumber, while the latex foam provides a naturally support and comforting feel. The Ghostbed Queen Mattress has a 7 inch high density foam base, a material that can increase the longevity and lifespan of the mattress. Do you suffer from night sweats or experience overheating that wakes you up at night? Ghostbed has a design for you that has been 15 years in the making! The Ghostbed Queen Mattress stands 11″ tall and is engineered with two advanced foams: continuous aerated latex, cooling gel memory foam, and extra high density support foam. This trifecta of foams is all working towards the ultimate goal of keeping you cool throughout the entire night. A great feature of this mattress is its zippered plush removable cover, which can easily be removed and washed. This makes caring for your mattress convenient and may even extend its life. Ghostbed is so confident in the quality and durability of their Queen Mattress that they offer a 20-year warranty. This mattress is not cheap, but you can expect it to last or your money back. Sometimes falling asleep isn’t the issue, but staying asleep is. When your sleep is interrupted due to overheating at night, you are missing out on important parts of your REM cycle and letting your brain fully recharge with a good nights sleep. Ghostbed Queen Mattress will help you enjoy full nights of uninterrupted sleep, improving your energy levels and mood. The Ghostbed Queen Mattress is also fully adjustable, convenient for those who require sleeping in unconventional or upright positions. It supports pressure points, alleviating those irritating kinks you may find yourself waking up with when you sleep on a spring and coil mattress. The mattress cover of the Ghostbed Queen Mattress is constructed of viscose and polyester and is CertiPur-US Certified. Hailed in reviews by Good Housekeeping, TIME magazine, Fast Company, and more, Casper is a household name and industry icon in the world of luxury foam mattresses. Known for being breathable and supportive, their original Casper Queen Mattress is the company’s top-seller, customer-favorite, and a contender for the best foam mattress. Like Tuft & Needle and Ghostbed, Casper only uses premium quality foam materials – no eggshell topper nonsense and no cheap filters. The Casper Queen Mattress uses a responsive polyfoam, memory foam, zoned transition foam, and base foam. The memory foam provides comfort by alleviating pressure, and the poly foam is highly breathable. No gel included in this mattress. Whereas Ghostbed specializes in crafting cool mattresses, Casper specializes in creating well-aligned mattresses. Their goal is to provide superior support for improved health and comfort. With four layers of foam, you might worry that the mattress would be a little too soft. But the Casper design team has it all figured out. The Casper Queen Mattress is engineered with a unique zoned support design. This means that there is softer foam under your shoulders and firmer foam under your hips. This design levels out your body, improving your alignment. This mattress also includes a durable cover that zips off and cleans easily. This so helpful when you want to remove just one stain! It also keeps your mattress free of unwanted odors and smelling fresh. Casper offers clientele a 10 year warranty on the Casper Queen Mattress. In fact, their 7-day a week customer service representatives will even arrange to have the mattress picked up if you wish to make a return of your purchase. The zoned support of the Casper Queen Mattress is a new approach that is changing the quality of sleep you can achieve, especially if you suffer from neck or back pain. Although I have not had a chance to try it myself, consumer reports show strong confidence in the ability of this mattress to promote health and wellness. It is engineered to improve the alignment of the spine, releasing tightness and pain both in joints and muscles. This will allow you to sleep deeper and without irritating or chronic pain. 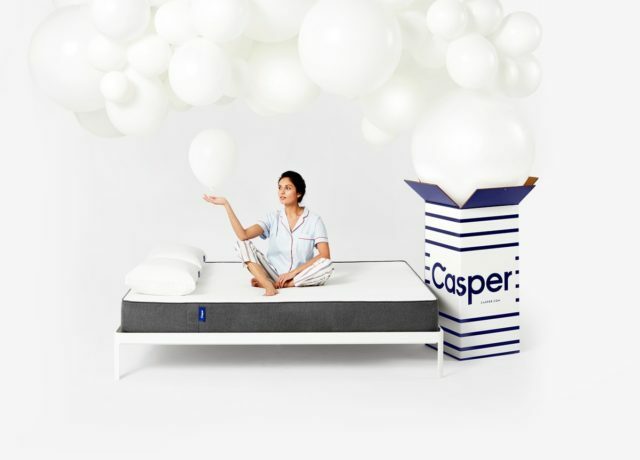 All the foams used in the Casper Queen Mattress are certified by the CertiPUR-US program, and are made without chemicals that damage the ozone. Casper products are also regulated by the Consumer Product Safety Commission Low VOC. Once you find the best foam mattress you love, you’ll want it to last as long as possible! There are certain features to look for in a foam mattress that can increase its longevity. Sturdy base: a sturdy foam base provides support for the sheer weight of your body, allowing the more advanced foam materials to go to work on relieving pressure and cooling your body. A mattress made entirely of adaptive, or gel foam would break down more quickly. Latex materials are also known to depreciate more rapidly than other foam materials. Removable cover: who wants to look at stains on their mattress? What an eyesore! A zippered removable cover allows you to regularly care for and maintain your mattress. You can get rid of stains and smells easy. This will certainly extend the life and usefulness of your mattress. When it comes to the mattress market, you need to be prepared to make a decent sized investment to get a quality product. That being said, don’t get swindled! The Tuft & Needle Queen mattress retails in the middle of the mattress market, which is above standard bargain pricing, but is truly a bargain in its own right! The Tuft & Needle team works hard to cut waste and keep costs and overhead down for their customers. In the end, it’s good practice to price compare competitors. Buying a $1,200 mattress vs. a $550 mattress doesn’t necessarily mean you’re getting a better product. For comparison, the Ghostbed Classic Queen Mattress is sold for several hundred dollars above Tuft & Needle, and the Casper Queen Mattress costs nearly double. These three mattresses are all very comparable in terms of quality of materials, durability, and customer guarantee. Consider your sleep goals, what you’re willing to spend, and make an informed decision from there. Buying a mattress can be similar to buying a car. You want to take it for a test drive and try it out to make sure it’s truly a good fit for you. Shop around, and make sure there is a guaranteed trial period before you purchase a foam mattress. The Tuft & Needle Queen mattress offers a 100-night trial period. That is plenty of time to fall in love with their foam queen mattress or return it, hassle-free. Ghostbed also includes a 100-night free trial and for the first 100 days within the receipt of shipment, but this is only for purchases sold by Amazon. Not comfortable walking into a mattress store and listening to an awkward sales pitch from someone working on commission? The Tuft & Needle Queen mattress is exclusively sold online, and is made in the USA. With honest and transparent business practices, the company’s founders have built a strong reputation in the industry. Casper and Ghostbed have both been in the foam mattress industry even longer than Tuft & Needle. They also have strong ratings from Consumer Reports. All three manufacturers hold important certifications that prove that their products are the real deal and are consciously made. It’s worth the time and effort to really know who’s behind the product you’re buying. The best foam mattress will be engineered and designed by teams of innovative and intelligent individuals. Do your research and find out what’s going on behind the scenes to make sure you’re shopping with a top mattress retailer. I wouldn’t trade my Tuft & Needle Queen Mattress for anything! It’s really the best of both worlds – high-quality materials, customer guarantee, and a relatively affordable price. Ghostbed and Casper also make excellent products, but they are more targeted towards personal sleeping needs that aren’t specific to me. They also carry higher price tags. For a foam mattress that is smart, affordable, and luxurious, Tuft & Needle is my top pick. Q: Do foam mattresses need box springs? A: Foam mattresses need a rigid support underneath. You have to put the mattress on something. The floor is fine, the box spring it’s designed to come with is fine, a platform bed in which the slats are close enough together is fine, and an adjustable base is fine. Q: Will a foam mattress last longer than a traditional spring mattress? A: A foam mattress that is well cared for can last up to 15 or 20 years, whereas an innerspring mattress typically lasts about 10 years and then needs to be replaced. However, quality counts! A low-grade foam topper can begin to deteriorate after just a single year. Be sure to purchase a high-quality foam mattress for best longevity results. Q: Should you flip a foam mattress? A: Most high-quality foam mattresses are constructed with a sturdy, supportive foam base that is different from the foam layered at the top. It is not recommended or necessary to flip a foam mattress. However, some retailers, such as Ghostbed, do recommend rotating your foam mattress a couple of times per year. This involves rotating the mattress 180 degrees. This gives the mattress an opportunity to recover as your weight is redistributed to new areas. Plus, doing so can prolong the life of your foam mattress. This entry was posted in In Depth Product Reviews and tagged mattress. Bookmark the permalink.